Women’s Football dates back to the 19th Century and by the 1920s the women’s game was attracting crowds in the tens of thousands. However after an FA ruling all but banned the women’s game it lost all of its followers. It was not until the 1970s that women’s game was allowed at FA grounds. For Tranmere a women’s team did not come about until the 1990s. 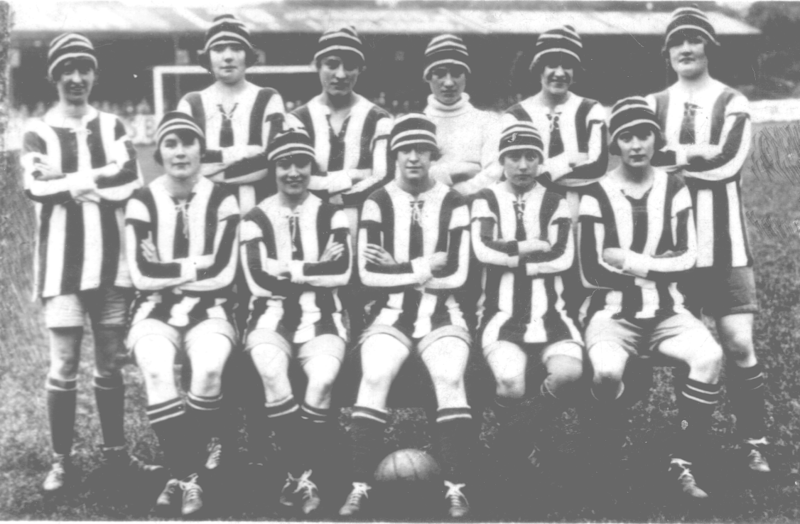 However Tranmere Rover Ladies were not the first women’s team to associate themselves with the club and ground. 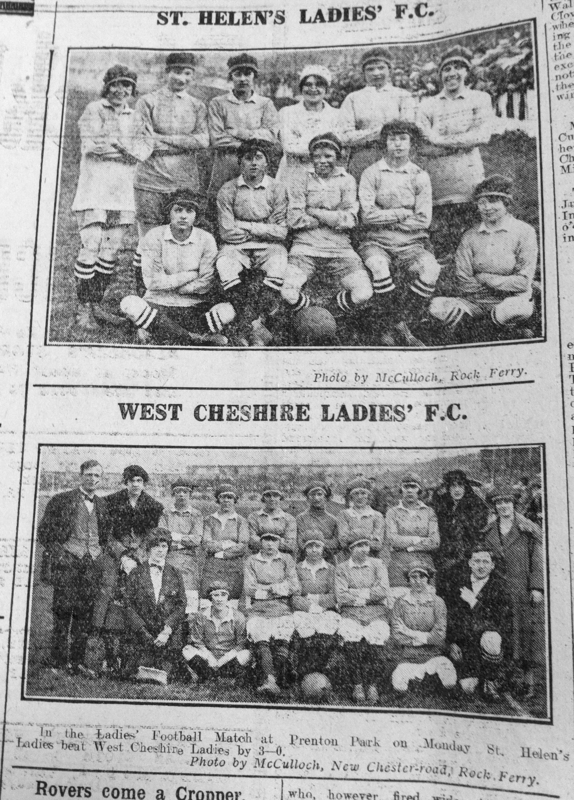 Way back in 1921 West Cheshire Ladies met St Helen’s Ladies met a Prenton Park for a charity match. 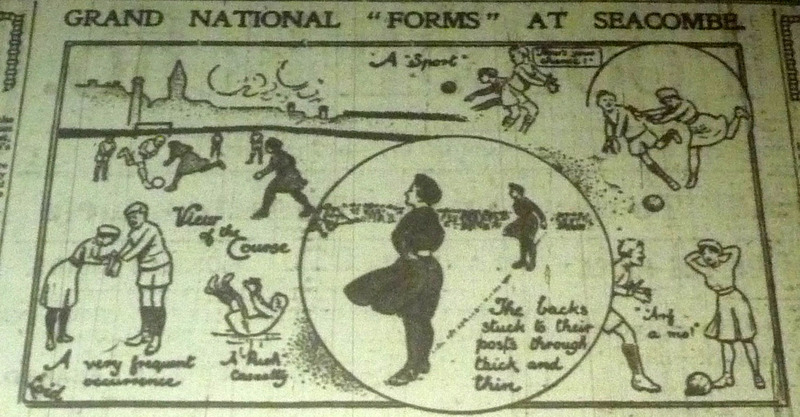 Women’s football in the early 1920s was at a peak which has yet to be replicated. 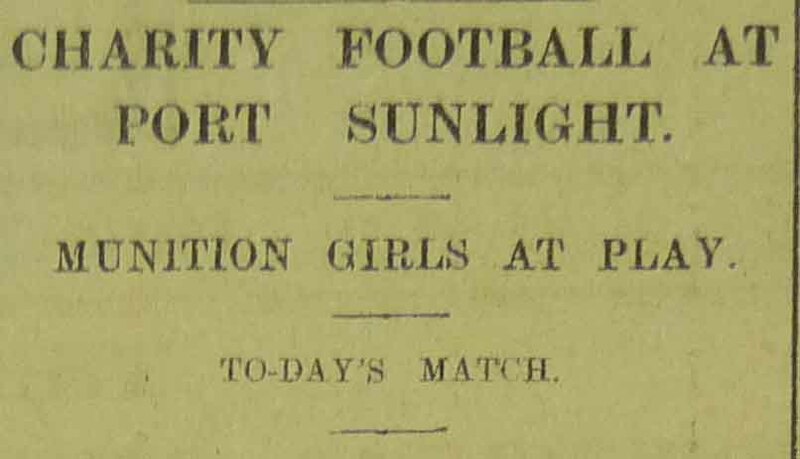 Although a women’s league was not yet in existence charity matches were taking place on a fairly regular basis around the country. The game at Prenton Park though was being watched by a new comer to the game going by the name of the ‘Onlooker’ in the Ellesmere Port Advertiser who wrote a rather enlightening match report on the match. West Cheshire and St Helen’s met that day to raise money for the Shaftesbury Boy’s Club which was just round the corner from the ground and is still there today. The spectacle of women’s football that day brought a sizable crowd of 5,000 to Prenton Park which on some occasions that season beat the attendance to the men’s game. The view of women at this time was still heavily influenced by the attitudes of the Victorian and Edwardian age. 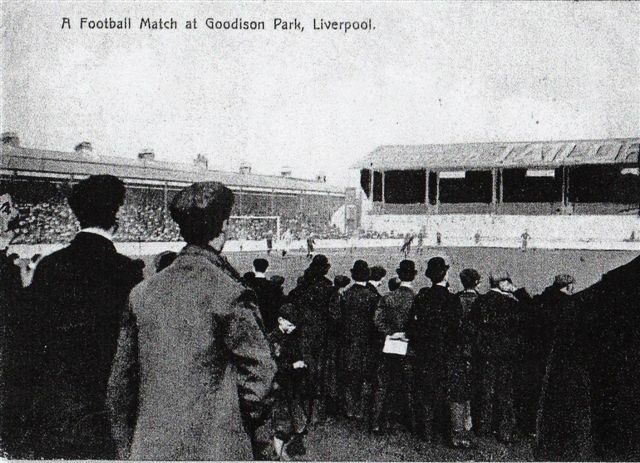 Many believed that football was not good for women’s health and that the women’s place was still very much in the home. Although at this time the view of women was very conservative, the ladies entered the field wearing very similar kits to the men with the exception of hats which were there to protect their hair. West Cheshire wore Green and White and St Helen’s Sky Blue. Both teams began with very attacking play and the women did not live up to their ladylike image. Early on a player for St Helen’s was ‘laidout’ for which a trainer was required who ran onto the pitch in a rather large dress which according to the Onlooker produced loud laughter from the crowd. The injury is not described but the remedy is a sniff of can-de-cologne which apparently revived the woman promptly. St Helen’s opened the scoring early with a Ranson goal and a second followed as Chorley’s shot from outside the box hit the back of the net. West Cheshire had tried to break down the St Helen’s defence but had failed and at the end of the first half Waine, the St Helen’s keeper, had not even touched the ball. Soon into the second half St Helen’s scored their third after Scott for West Cheshire miskicked the ball. A West Cheshire player was taken down just outside the edge of the St Helen’s penalty box for which again she required a trainer. The cure of the day was again the smelling bottle which revived the player from her injury. Throughout the game the crowd were in raucous laughter whenever a player was injured according to the Onlooker. This laughter was not always justified and many of the injuries in the male game may have produced jeering from the crowd at such bad tackles. The game finished 3-0 to St Helen’s and the Onlooker said they had all had a great laugh at the women’s expense. However his attitude to the women’s game appeared to be changing as he stated ‘But one thing surprised me greatly and was the splendid knowledge that some of the girls showed of the men’s game’ and even went as far as to say Miss Scott and Fairclough were good enough to play against men. However West Cheshire Ladies would not be given the chance to build on their game against St Helens. The Football Association banned all FA affiliated clubs from allowing women’s teams to use their grounds which effectively ended the rising game. With the FA ban the West Cheshire Ladies like many women’s teams disappeared completely. 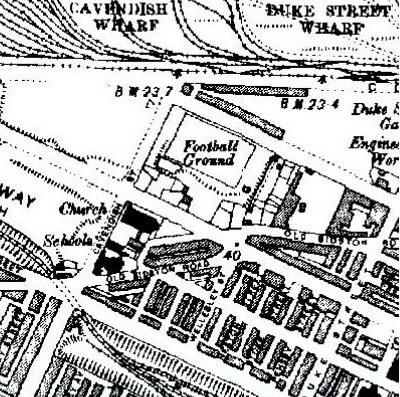 We have to wonder in the 150th Anniversary year of the Football Association how different the celebration may have been if the women’s game had been allowed to flourish.